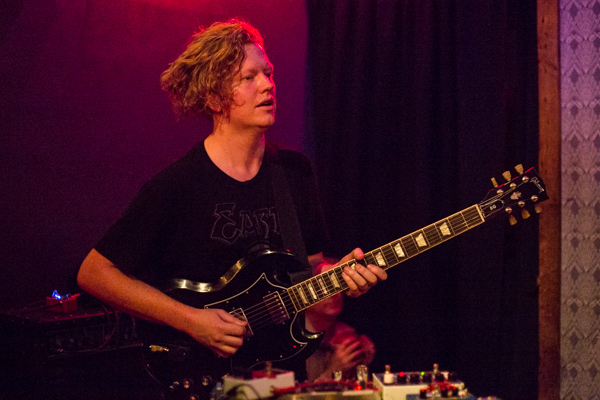 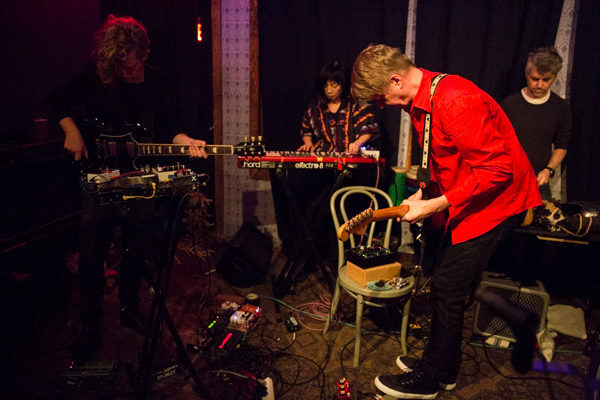 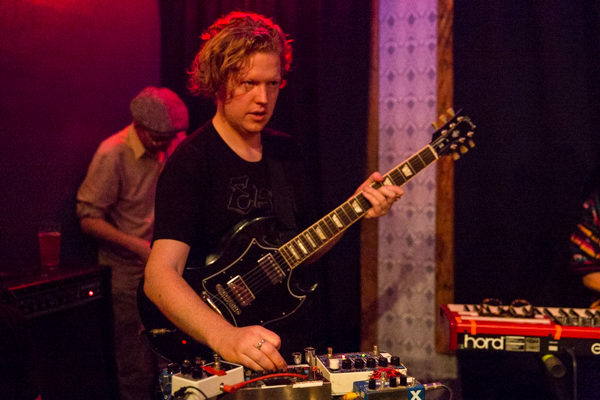 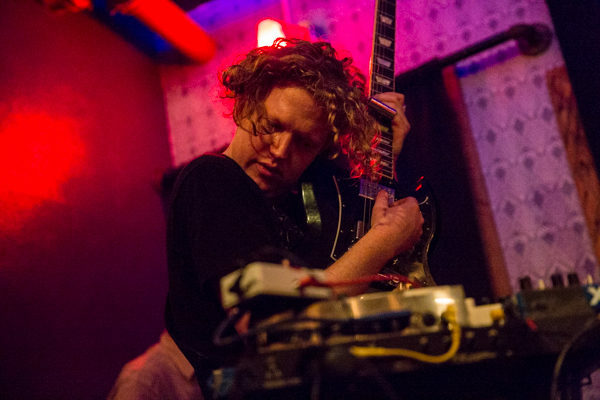 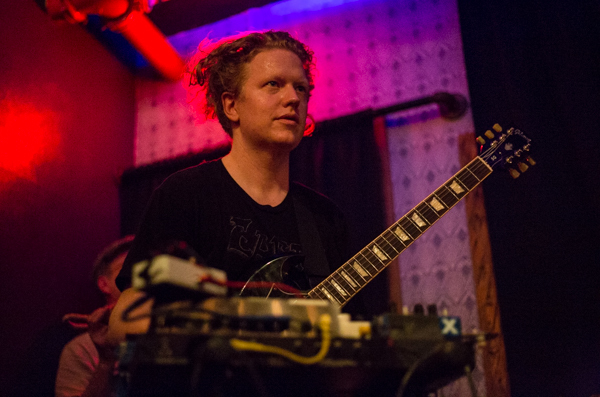 To celebrate the release of his new album, Pure Imagination, No Country, which came out on February 1st via Yeggs Records, multi-instrumentalist Dave Harrington did a five-night residency at Threes Brewing in the Gowanus neighborhood of Brooklyn. 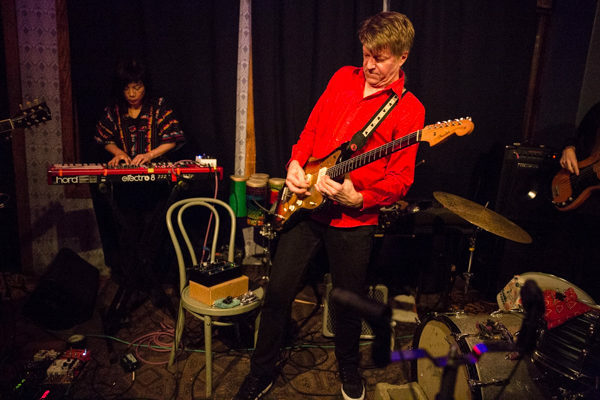 Each night featured a different combination of musicians who played with Harrington, enticing fans to attend multiple nights, despite the sub-freezing temps. 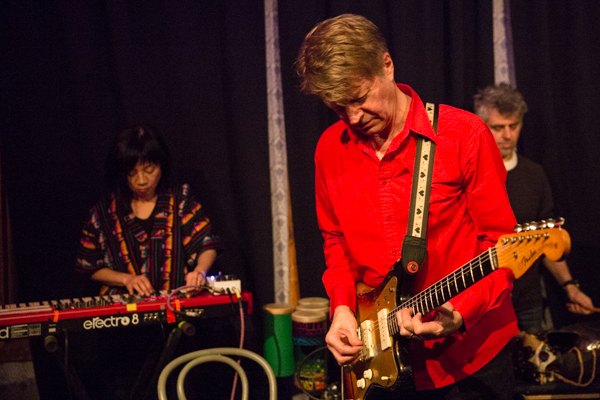 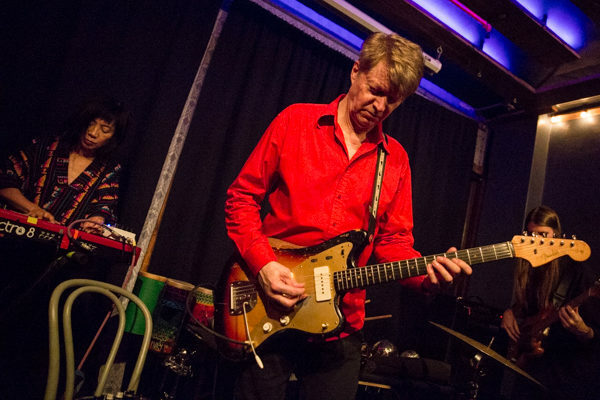 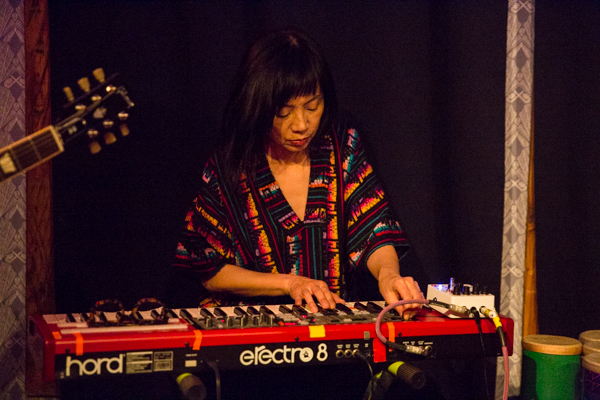 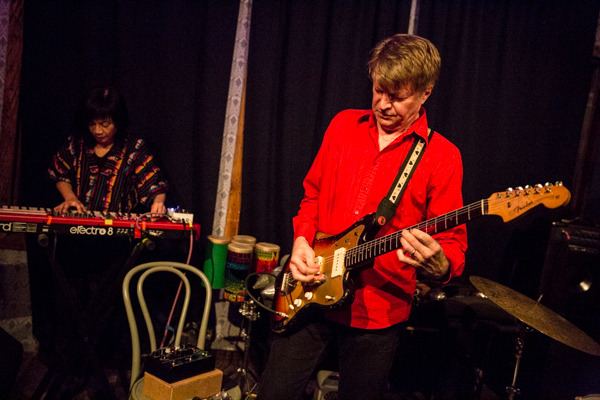 Saturday night was night four of the run and featured an assembly of Harrington’s Merry Pranksters: Nels Cline, Jeremy Gustin, Yuka Honda, Mauro Refosco, Kenny Wollesen and Spencer Zahn, as well as Stuart Bogie, and Briggan Krauss, who joined for the second set. 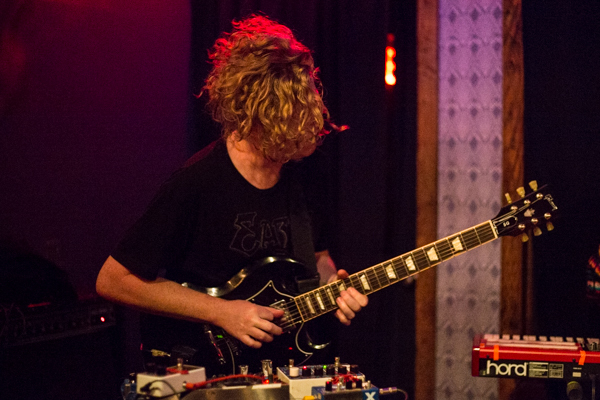 FaltyDL served as DJ before and between sets. 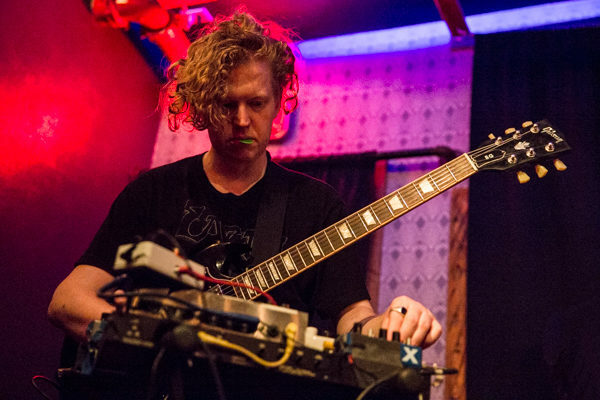 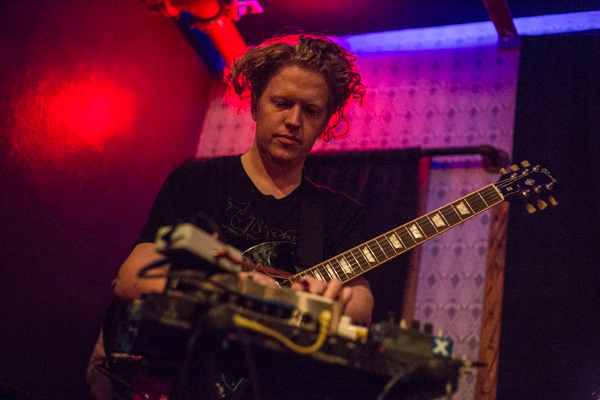 I had seen Dave Harrington only one other time, a number of years ago at Glasslands as half of Darkside, his project with Nicolas Jaar. 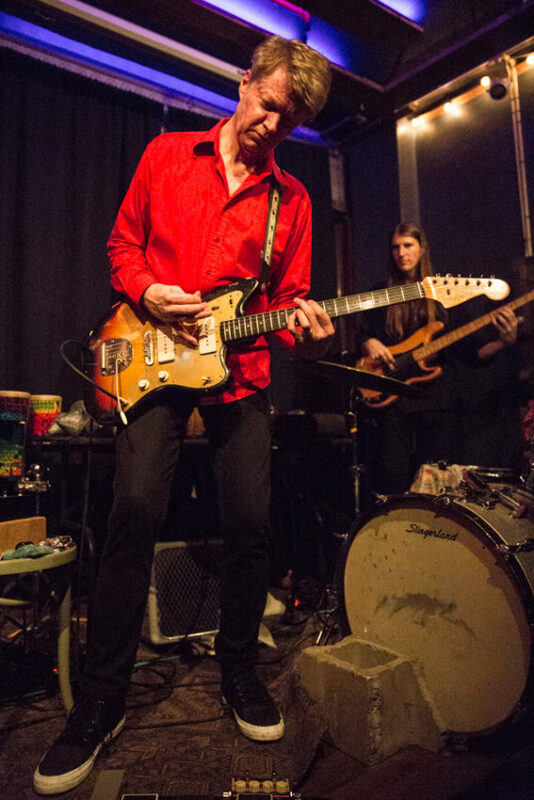 I remember standing by him for that show and being wowed by his performance. This time, he guided his band of Merry Pranksters through two blistering sets, each of which lasted about 75-minutes. 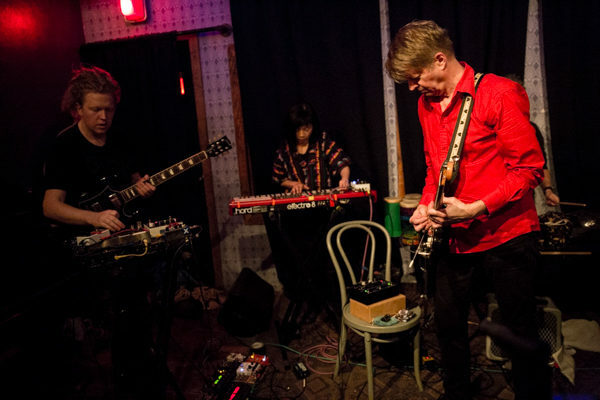 It was impressive to see so many artists crammed into the tiny room at Threes Brewing, which had about a third of the room dedicated to the band, and the remainder filled to the brim with audience members. 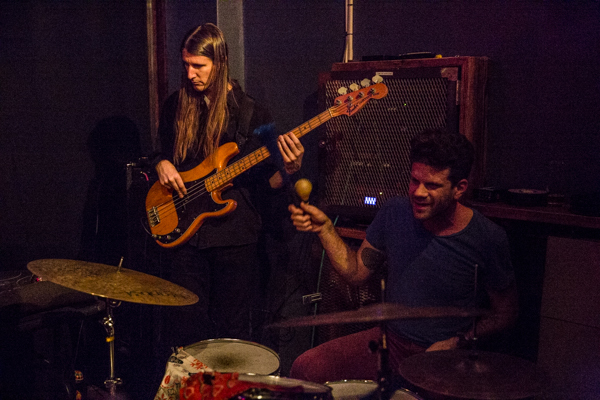 For the first set, the Merry Pranksters quickly heated us up with their improvised pulsating Afrobeat rhythms, which steadily kept rolling and building. 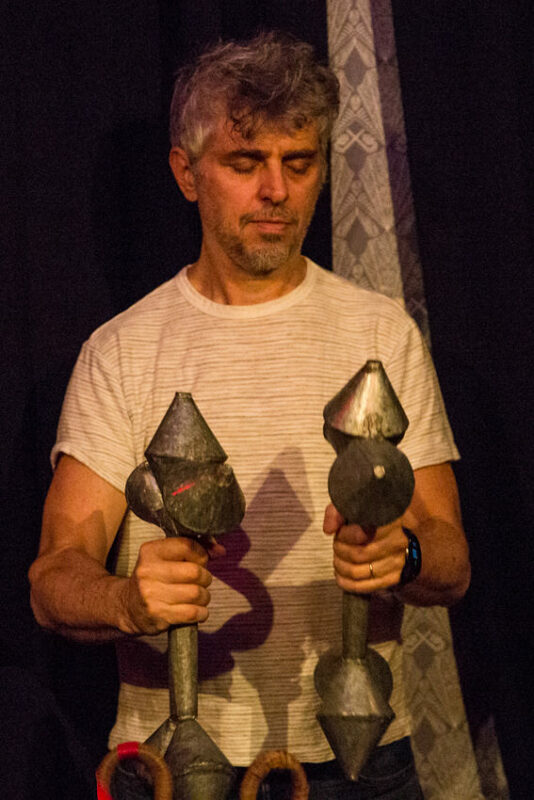 I was particularly happy to see Mauro Refosco on percussion at the rear of the room, having recently caught him in David Byrne’s elaborate production last September. 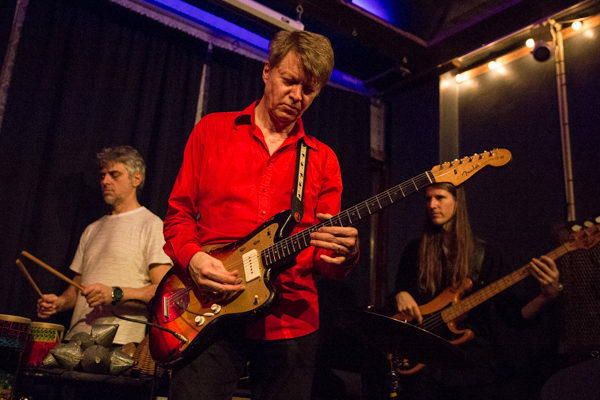 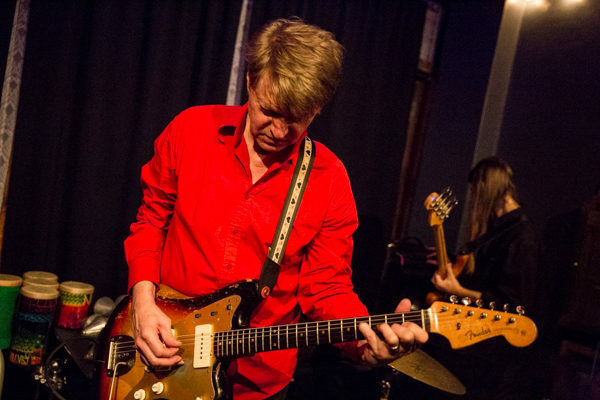 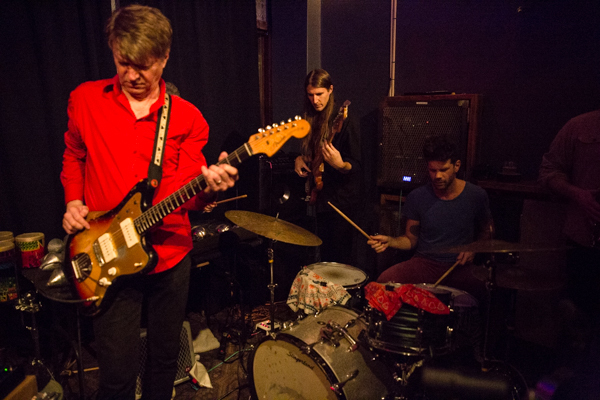 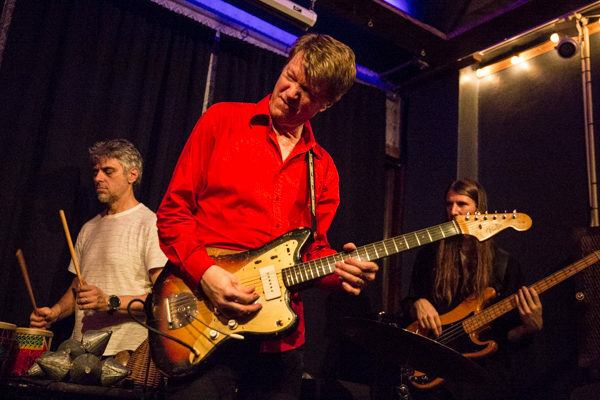 I was also excited to observe up close the guitarist Nels Cline, whose work I’ve admired for a long time primarily with the band Wilco, as well as some of his side projects. 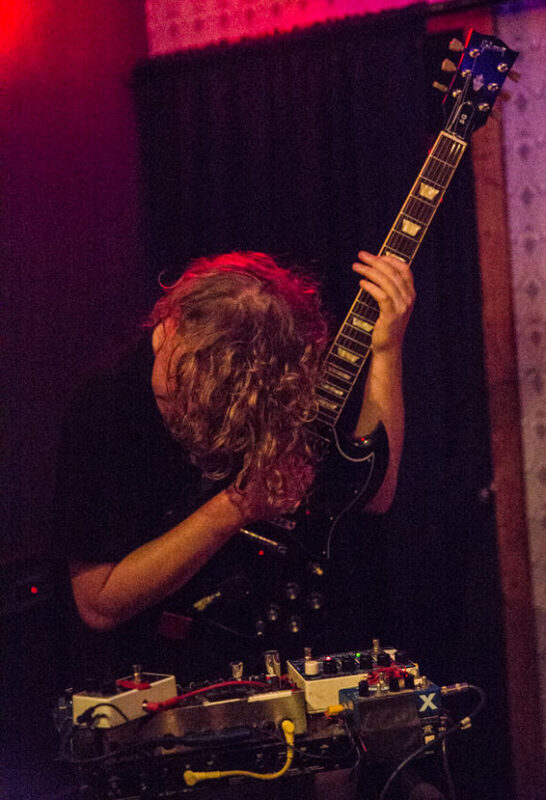 He really let loose during the second set, which proved to be the noisier part of the evening, using various implements such as metal clips or a coil to generate sounds that made the set shift towards the psychedelic. 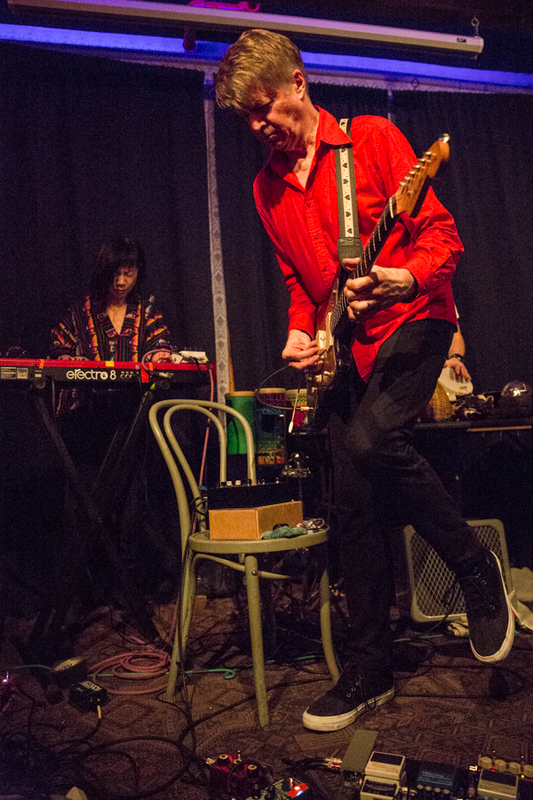 By the climax of the second set, I felt like I was on a rocket ship headed into a supernova with Harrington as the captain and Cline as the navigator. 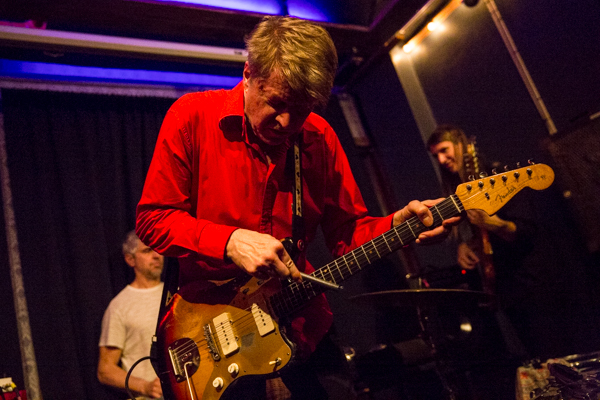 For 2-1/2 hours, Harrington and his crew of Merry Pranksters thrilled us and made us sweat, helping us to forget about that pesky Polar Vortex in the outside world. 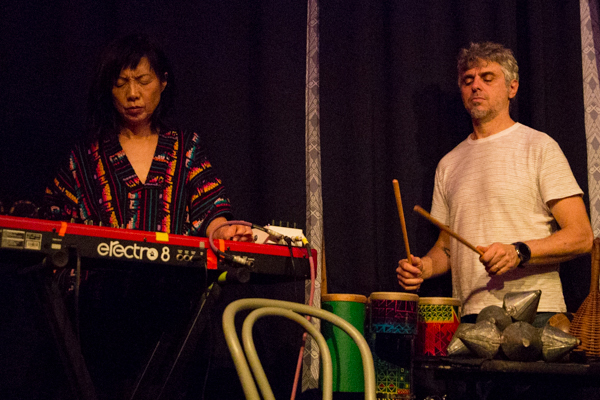 And the fact that it was all improvisational made it a very special moment that I felt privileged to witness. Find a full gallery of photos from the performance posted in the gallery below.